At Santa Monica Esthetic Dentistry, fluoride varnish is an important part of our treatment towards cavity prevention. Research shows that fluoride has a multitude of benefits, particularly in the fight against tooth decay. Fluoride treatment is recommended to all of our patients receiving dental cleanings at our office, especially those of a young age. Routine fluoride treatments administered at your dental office have a multitude of benefits! Check out below why fluoride is important for your oral health! 1. Did you know Fluoride is a mineral that helps fight against tooth decay? It is found in public water supplies, toothpaste, and many other dental products. 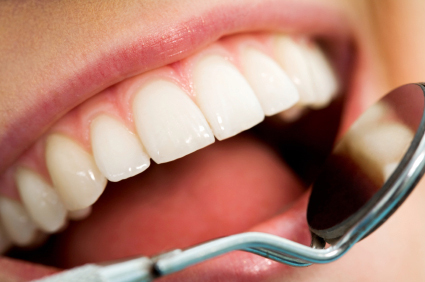 Our office offers a special professional-grade fluoride varnish, that allows us to help you prevent future cavities! 2. Often called, “nature’s cavity fighter,” fluoride helps repair the early stages of tooth decay even before the decay can be seen. Research shows that fluoride helps prevent cavities in children and adults by making teeth more resistant to the acidic attacks that cause cavities. 3. Fluoride not only helps prevent cavities, but also PROTECTS your teeth by strengthening your enamel. Hard, mineralized teeth are healthy teeth. 4. Don't wait until you have a toothache!